Blank Die Construction starts with the flat material that has been cut to a specific shape that the first operation (Draw Die) utilizes. Once the press to be used is determined, the operations to be performed in a Blank Die begin. This is a coil of material that is fed through the die at a predetermined distance with each turn of the press. There will be various stations in the die that will trim and pierce the material away until complete, then drop the finish blank off the die. 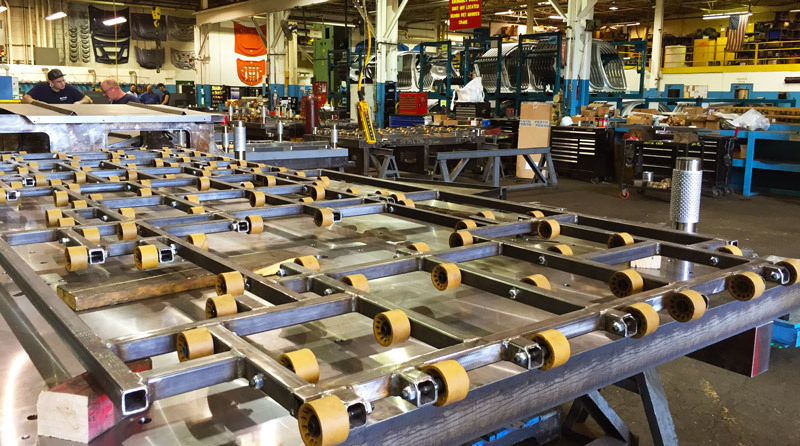 Include a few paragraphs about how DieTech North America custom fabricates tooling to meet customer specifications and demands. Explain/describe the process/service itself.